We specialise in BMW parts and accessories. We can help you source the part and fit it. We have a full mechanical workshop. Full diagnostic and module programming. Reputed for their outstanding range and quality second hand parts HellBM also boasts New Zealand’s most competitively priced parts, all this with the technical know-how from true enthusiasts who run and own BMW’s themselves! With HellBM’s recent growth and expansion, HellBM Motorsport was born. 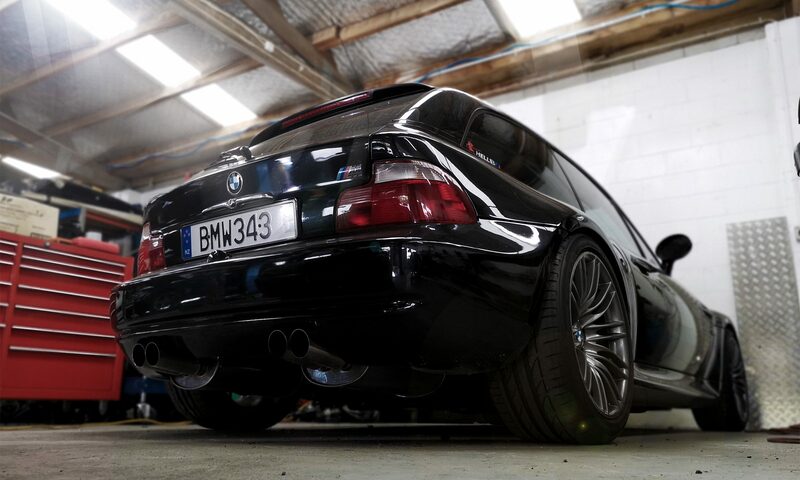 Specialising in everything from general service work, repairs and maintenance to engine and manual conversions and performance upgrades on early and late model BMW’s. Our experienced team offers quality workmanship, and a personal and professional experience. With our huge range of parts, local and international network, knowledge and experience we aim to bring you the best job at the lowest price. We are the ultimate BMW enthusiasts working to bring that little bit extra to the BMW enthusiast community.